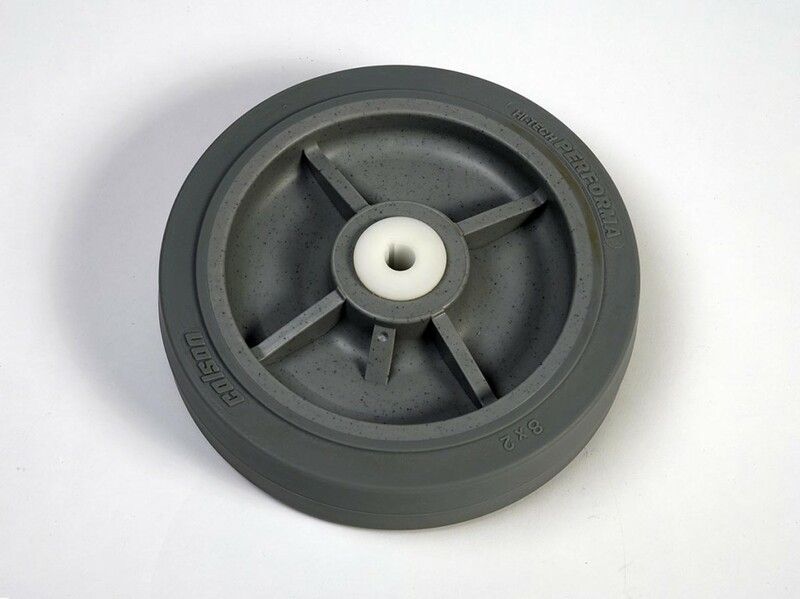 These wheels include a custom fitted Delrin insert with a 1/2″ bore and 1/8″ key slot for power drive applications. The treads 2″ wide and are are a soft 70 durometer rubber. The rims are polypropylene.